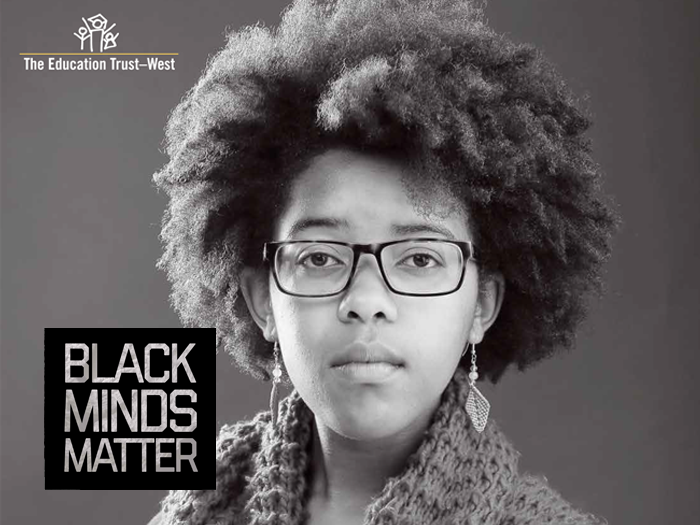 The Education Trust – West, an organization that advocates for educational justice and high academic achievement among all students — particularly low-income and students of color — recently published Black Minds Matter. This report details and proposes solutions to the achievement gap facing California’s nearly 1 million Black students. California has the fifth largest Black population in the country, and in West Contra Costa, Black students represent nearly 20% of the K-12 population. These students are less likely to graduate high school in four years and be identified for GATE; they are more likely to be taught by ineffective teachers, identified for special education, take remedial, non-credit college courses and be suspended or expelled. Click here to access the full PDF report, Black Minds Matter: Supporting the Educational Success of Black Children in California. For more information related to this report, including resources to learn more, share or discuss Black Minds Matter, please visit The Education Trust – West.